Autoflowering Cannabis SeedsThere are 23 products. Autoflowering seeds are the perfect for anyone looking for a fast turnaround or an easy and resilient grow. Unlike traditional cannabis seeds, autoflowering cannabis seeds flower with age rather than changing light cycles. This means it is possible to obtain a harvest in a matter of months, allowing for multiple grows a year. The fastest can go from seed to harvest in just 55 days! Due to the fast and resilient nature of autoflowering cannabis strains, they are also an excellent choice for guerrilla growers looking for a hands off yet rapid grow. Below you will find all of our autoflowering cannabis seeds here at Zambeza, all of which are feminized – guaranteeing female plants! Growers are sometimes seeking strains that can be easy to grow but also simple to hide. With our bonsai-like Little Dwarf Autoflowering they get the complete package: A short life cycle of 55-65 days, plants that doesn’t exceed heights of 40-70cm, and a good amount of potency due to Skunk genetics. Expect more than a few g's! Our dwarf yields up to 40-80g per plant, when grown outdoors. Big Bud XXL Autoflowering was created by crossing the West Coast strain OG Kush with Ruderalis. Indoor yields are surprisingly high for an autoflowering variety: Up to 400-450g/m²! This strain can be successfully grown by novice growers and experts alike, and won’t exceed indoor heights of 80-110cm. Outdoor growers will harvest up to 100-175g per plant, depending on climates and conditions. Super Silver Haze is sativa-dominant, and needs a life cycle of 70-85 days to produce indoor yields of up to 250-300g/m². Plants will grow quite big for an autoflowering strain, up to heights of 80-110cm. Outdoor growers can expect heights of 110-150cm, and harvests of up to 120-170g per plant. The strong and uplifting effects make SSH Autoflowering an excellent choice. The autoflowering version of Northern Lights XL is capable of yielding 350-400g/m², in a life cycle of 60-70 days. It’s not only yields that are extra-large. The dimensions of this plant are impressive. Indoor growers will cultivate plants with heights of 100-130cm. 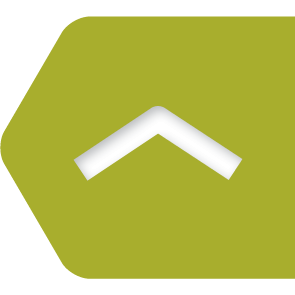 When grown outdoors, plants reach heights of 120-150cm. Think BIG and grow Northern Lights XL! Blueberry is one of the greatest strains on earth and looks back on a long history of success. Zambeza Seeds created the autoflowering version of Blueberry, by focusing on preserving the original Blueberry flavour. This indica-dominant strain grows with great vigour, and is capable of producing indoor yields of up to 300-350g/m², in only 55-65 days from germination. Taste? Blueberry Yum! Jack the Ripper Autoflowering can be harvested 60-70 days after germination, depending on the desired maturity level and growing conditions. Indoor yields of up to 300-350g/m² will be produced by plants that are 60-90cm tall. Outdoor growers will harvest up to 75-130g per plant. Taking a bong rip ultimately results in a soaring and uplifting Sativa high. Premium genetics of Jack Herer! White Widow XL Autoflowering is sativa-dominant and produces top-quality bud. Zambeza’s updated version of this Dutch classic lives up to high expectations, and provides indoor yields of up to 450-500g/m², and outdoor yields of up to 150-250g per plant. The effect is uplifting and boosts creativity, but will soon mellow into a relaxing body stone. From seed to harvest in 70-85 days! NYC Diesel Autoflowering needs a life cycle of 55-65 days to produce indoor yields of up to 300-350g/m². It was created by crossing our feminized NYC Diesel with Ruderalis. The high and aromas are mind-blowing! It will first hit you hard, with strong euphoric and energizing effects, but they soon evolve into relaxation. Sativa-dominance and fuel-like Diesel aromas! Amnesia Haze XL Autoflowering is ready for harvest in 70-85 days from seed. Indoor growers will cultivate plants that are 60-90cm tall and yield up to 350-400g/m². It’s a sativa-dominant strain with outdoor heights of 90-120cm, yielding 120-175g per plant. The intense high of the original Amnesia Haze has been preserved. Strong euphoric effects make this a killer smoke! The autoflowering version of Vanilla Ice was created by crossing our much appreciated feminized version of Vanilla Ice, with Ruderalis. This strain is ready for harvest in no longer than 55-65 days after germination. When things go well, indoor yields of up to 300-350g/m² are feasible, and outdoor growers can expect up to 100-175g per plant. Delicious vanilla flavours! Blueberry Chesse Autoflowering is a crossing of Zambeza’s Blueberry Cheese and Ruderalis. In a short life cycle of only 60-70 days, it can yield up to 300-350g/m². This strain is indica-dominant and compact in size. Indoor growers will grow plants with heights of 40-70cm, and outdoor growers can count plants being 50-100cm tall. It's a cannabis delicacy, with strong cheese aromas! White Cheese Autoflowering has been a popular choice among Zambeza’s customers since its release. It’s an indica-dominant strain that was created by crossing our White Cheese with Ruderalis genetics. The final yields are impressive, especially when put in relation to the life cycle of 60-70 days. This strain yields 400-450g/m² indoors, and up to 150-220g per plant outdoors. Green Monster Autoflowering is a complex cross of Green Monster x Big Devil 2 x Ruderalis. It only takes 55-60 days to be ready for harvest, and puts out a sweet and slightly spicy aroma. One can taste fresh citrus flavours when smoking this monster. The effect can be described as a classical happy high, with relaxing attributes due to the indica-dominant genetics. Candy Caramelo Autoflowering is fast, sweet, and indica-dominant. It's ready for harvest in 50-60 days from seed. The autoflowering version is not really inferior to the feminized Candy Caramelo. Genetics are just slightly modified with Ruderalis. THC levels are still high with 15%, and indoor yields peak at 300-400g/m². Spanish growers love their sweet caramel flavours: “Muy dulce”! Green AK XL Autoflowering needs a life cycle of 60-70 days to produce up to 400-450g/m². It’s one of the most productive autoflowering strains by Zambeza. Taste and effect are both amazing, and don’t differ much from the feminized version of our AK-47. The aromatic profile is dominated by fresh and fruity flavours, and outdoor growers will harvest up to 100-150g per plant. Our breeders did an excellent job in preserving the heavy-hitting Indica effects of Power Kush, when crossing in the autoflowering genetics. There is still a lot of power in this crossing, ready to be released as soon as the seed starts to root. Power Kush Autoflowering completes its short life cycle 55-65 days after germination, yielding up to 350-400g/m². Sweet and sour Kush flavours! OG Bubble Gum Autoflowering is one of the fastest autoflowering strains of Zambeza Seeds. This variety completes its short life cycle after 50-60 days of autoflowering, yielding up to 350-400g/m². It was created by crossing one of our best performing Indicas OG Bubble Gum, with Ruderalis genetics. Indoor heights are between 60 and 90cm, making this strain easy-to-grow. Sweet berry flavours! Stock up on custom-made king size rolling papers by Zambeza. This pack contains 32 extra thin leaves with the ideal dimensions for sophisticated cannabis connoisseurs: 10.8cm x 4.5cm. These rolling papers are slow burning, taste 100% neutral, and guarantee a pleasurable smoking experience. Our Zambeza lighter comes at a fair price and has an adjustable flame to allow versatile use. Imprinted with our Zambeza logo on the front, this classic lighter displays a timeless design. The only available colour is trichome-white ensuring highest visibility at day and night. Never desperately search for a working lighter again – it’s right here! About the size of a regular sized credit card, this grinder will fit perfectly into your wallet or back pocket. Over are the days of carrying around a bulky and hard to hide grinder. Even though it is thin and easy to hide, it still does a great job at chopping up your weed, and it can be used to scrape up the remains when you are done grinding your weed. A stealthy solution for on the go. Are you fed up with difficult light schedules? 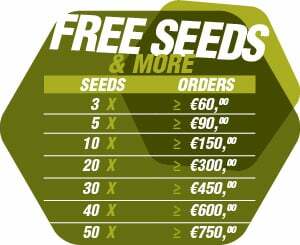 Our autoflowering bundle has some very potent seeds, and they don't require a light schedule! Plus it's got all the essentials you need to keep your plants happy, healthy and thriving starting from seed all the way through to flower. Very few genetics out there have received the worldwide recognition and acclaim of Cookies and Gorilla. Now, you can experience a strain that mixes the best of both worlds into one psychoactive beast of a plant. Autoflowering seeds produce the fastest growing cannabis plants on the market - in more ways than one. Zambeza Seeds autoflowering cannabis seeds are 100% feminized. This makes Zambeza autoflowers the home growers express ticket to a dank stash in record time. Moreover, Zambeza Seeds have got a vast selection of autoflowering strains to choose from. All kinds of autoflowering cannabis seeds in fact. From unique original hybrids to autoflowering versions of your favourite photoperiod varieties. Autoflowering feminized seeds for every kind of grower are featured in the Zambeza Seeds autoflowering collection. WHY GROW FEMINIZED AUTOFLOWERING PLANTS? Autoflowering cannabis does not transition from vegetative growth to bloom like photoperiodic strains. Autoflowers will begin to flower based on their age, instead of reduction in hours of light like photoperiodic cannabis. Typically most autoflowering marijuana will enter the bloom phase after 30 days or less. This is precisely why it’s so important to invest in 100% feminized autoflowering seeds. Rogue male pollen sacs bursting within weeks of beginning the grow is not the best way to get started. Even worse, male plants are a direct threat to your ability to crop exquisite sinsemilla in quantity. Cultivating autoflowering cannabis is akin to ganja farming in fast forward. There really is no time for mistakes and unforced errors. Bunk genetics must be avoided at all costs. Indoors the 18/6 light schedule is optimal for the whole autoflowering cannabis lifecycle, which lasts usually just 2, maybe 3 months tops. Outdoors hardy ruderalis genetics and the ability to flower independent of the photoperiod allows for multiple harvests per year. With Zambeza Seeds' high-grade autoflowering feminized seeds you can be confident that you have got the best possible autoflowering cannabis genetics in the grow op. WHICH FEMINIZED AUTO STRAINS ARE THE BEST? Zambeza Seeds feminized autoflowering seeds are ideally suited to beginner growers. However, veteran growers and commercial growers alike will also find our autoflowers appealing. Autoflowers are the fast lane to a fat recreational stash or medicinal self-sufficiency, depending on each grower’s personal requirements. We can’t make the final choice of precisely which feminized autoflowering seeds to sow for you. But we can definitely help. Let us fill you in on 5 of our most desirable autoflowering cannabis strains, that are not only 100% feminized. They're also 100% worthy of a spot in your grow op. For those new to cannabis cultivation or perhaps even new to cannabis consumption, Zambeza Seeds have got just the autoflowering strain for you. Big Bud XXL Autoflowering is the perfect introduction to the Kush family. Hybridising the hottest strain in the game right now, OG Kush, with robust ruderalis genetics produced a more beginner friendly Kush. If the devastating potency of OG Kush is too overwhelming, but you’re still looking for a flavoursome Kush smoke, Big Bud XXL Autoflowering is the obvious choice. Medium THC levels of 13% make for a more mellow effect. Often inexperienced growers have trouble finetuning the grow op to the nuances of popular top-shelf photoperiodic cannabis strains. Usually, the first few crops are marginally successful at best. Until the grower gains sufficient hands-on growing experience and figures out how to dial in the grow op, results will be lacking. Big Bud XXL Autoflowering is a game changer in this respect. With these easy to grow and highly productive feminized autoflowering seeds in the cannabis garden newbies can get it right first time. The more experienced grower can expect mouth-watering yields of delicious daytime Kush. Indoors Big Bud XXL Autoflowering is made for the SOG method. Plants grow to 80-100cm and explode with flowers to finish in just 55-65 days post germination. Similarly, outdoors this plant rarely exceeds 150cm and is a great choice for balcony growers with limited time and space to crop a fat stash. If you are a fan of the Dutch coffee shop legend White Widow, then you have got to try the White Widow XL Autoflowering. This uber resinous ruderalis hybrid of the "ice queen" of the Zambeza catalogue is irresistible. White Widow XL blended with autoflowering genetics is quite possibly the fastest Widow on the market. In just 70-85 days after germination, this sativa-dominant autoflowering cannabis is ready for harvest. As you would expect, plants are squat, branchy and absolutely frosted over with trichomes. Heights of 80-110cm are common indoors and just a shade taller plants at 120cm can be cropped outdoors. White Widow XL Autoflowering possesses that trademark Widow high, that gets one stoned gradually and then suddenly. The initial uplifting wave rolls back pretty swiftly. Before you know it this delightful autoflowering strains tranquilizing effects will wash over you. Beginner growers or growers looking for some Widow bud in a hurry, the White Widow XL Autoflowering is the strain for you. Light to medium doses of nutrients and a SOG setup can really deliver outstanding results. No more patiently waiting for knockout Widow weed with White Widow XL Autoflowering seeds in the cannabis garden. You could be blazing cured stash by the time a photoperiodic Widow is midway through the bloom phase. Highly recommended to all heavy indica lovers. For all the growers searching for a blast from the past. Allow us to introduce the Power Plant XL Autoflowering. Travel back to the future with this fantastic feminized next generation autoflowering hybrid exuding old school charm. Power Plant XL Autoflowering is the progeny of the enormously productive and flavoursome Power Plant XL crossed with stocky super fast flowering ruderalis genetics. In as little as 55 days total crop time the Power Plant XL Autoflowering can deliver a lush harvest of aromatic skunky sweet classic cannabis. Plants exhibit mostly indica characteristics with their compact branchy stature. In contrast, the high is more sativa influenced. Effects are a pleasant blend of a happy, dreamy cerebral high and a mild body stoned. Approximately 1m tall, rapidly developing cannabis bushes can be cultivated with ease indoors or outdoors. Budding is less dense than heavy indica hybrids and less susceptible to mold in cooler conditions. The Power Plant XL Autoflowering is low profile and low maintenance, but definitely not low-grade. Make no mistake, this is connoisseur-grade marijuana with THC levels of 15%+. What separates an ordinary decent autoflowering strain from a super auto? Zambeza Seeds answer is the Super Silver Haze Autoflowering. Photoperiod Haze varieties like the Super Silver Haze are elite sativa hybrids better suited to more experienced marijuana growers. SSH is undoubtedly an amazing strain and hybridising her with ruderalis was really a no brainer. The Super Silver Haze Autoflowering packs in that same wonderful soaring cerebral high and bountiful harvest into a more compact express cannabis package. A true Super Auto is so high performance in the grow op that it can equal, if not exceed, photoperiod cannabis standards. With 17 % THC levels, 50g per plant average yields indoors, and twice that or more outdoors makes the Super Silver Haze Autoflowering too good to resist. Stretching and the long flowering period of traditional Haze strains are major disadvantages. By solving both of these nagging problems, Super Silver Haze Autoflowering truly is in a class of its own. In just 70-85 days complete growing time, you can treat yourself to some smooth smoking, spicy and citrus fragranced, top-shelf head stash. When it comes to uplifting energetic highs, the Dutch Coffeeshop legend Amnesia Haze simply cannot be beaten. Zambeza Seeds couldn’t resist the opportunity to breed the Amnesia Haze XL with ruderalis genetics to create the Amnesia Haze XL Autoflowering. Now for the first time, huge harvests of Europe’s premier head stash can be cropped in just 70-85 total cultivation time. You didn’t miss read that last sentence. Yes, we really are talking about 100% feminized autoflowering seeds of the highest calibre that can race from seed to harvest in about 11 weeks. Not only has the long flowering period been kerbed, but this auto hybrid is also low profile and an ideal stealth strain. Roughly 1m tall well-branched plants are typical indoors, or outside in decent sunshine. In larger containers, yields can be real scale tippers. SOG indoors for max yield and outdoors large containers can produce impressive dense bud-laden marijuana bushes. If you simply don’t have the patience for conventional Haze varieties but still yearn for a primo sativa, 21st-century feminized auto hybrids are the answer to your prayers. Amnesia Haze XL Autoflowering will touch THC levels of 16%+ and take you to the moon in half the time it takes to crop the original.